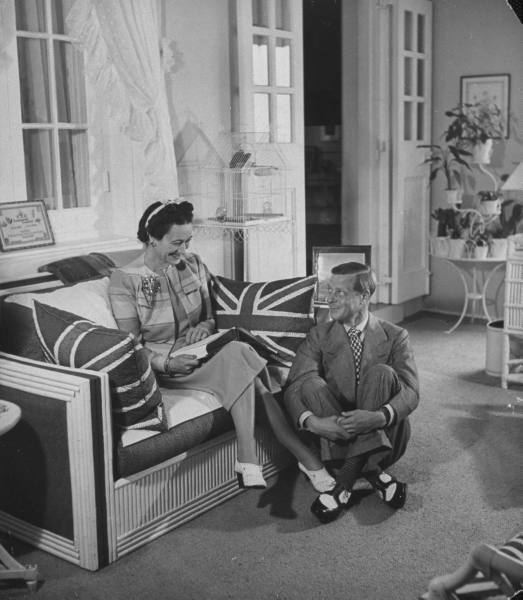 Following his abdication in 1936, the Duke of Windsor was eager to carve out a new role for himself and ensure that his wife was treated as a full member of the royal family even though she had not received the title of “Her Royal Highness.” There was no precedent for an abdicated sovereign assuming an active public role on behalf of the current sovereign and the Duke was frustrated that he appeared to be expected to live a quiet life in exile. 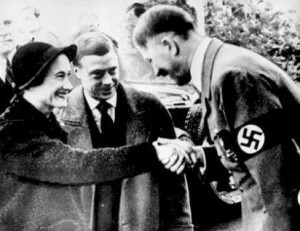 The Duke of Windsor was familiar with Germany and had numerous relatives there. He seems to have envisioned a diplomatic role for himself as a mediator between Britain and Germany. Right up until the outbreak of the Second World War, there were senior figures in the British government who thought a lasting peace could be negotiated through diplomacy and the the Duke seems to have shared their views. When war was imminent in 1939, the Duke contacted Hitler hoping to negotiate a peaceful solution, attempting to draw upon the rapport they developed during the 1937 visit. The Duke of Windsor’s ties with Nazi Germany made him a liability for Britain during the Second World War and he was appointed Governor of the Bahamas, which removed him from Europe for the remainder of the war. In the Bahamas, the Duke and Duchess continued to cause anxiety for the British government as their visits to the United States attracted an enormous amount of public attention and the Duke expressed pessimism about a British victory. He would not receive further official positions following the end of his term as Governor of the Bahamas. According to the BBC report, you state Windsor was pessimistic about “an English victory”. Really? English? That is so insulting to those from the other countries of the United Kingdom who fought and died in the war. Thank you for your comment. I did not intend any disrespect to the Welsh, Scottish and Northern Irish contributions to the Second World War. 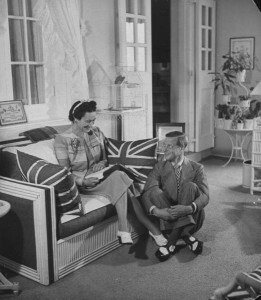 The reaction of a senior member of the German government to the Duke of Windsor’s interview was “The Duke of Windsor has given an interview to a magazine in the USA in which he frankly disclaims all chance of an English victory.” (See King Edward VIII by Philip Ziegler, p. 460) and there was discussion of whether to include the interview in German war propaganda. My intention was to summarize this kind of response to the interview and the anxiety interpretations of this nature would have caused for the British government.